This is my all-time favorite chocolate frosting recipe, and I think that once you try it it’ll be yours, too! 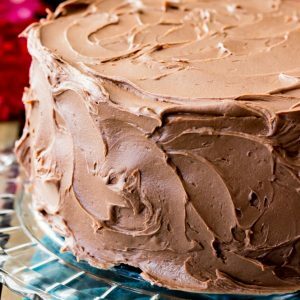 This is a simple chocolate frosting that needs just 6 ingredients — it will easily frost a 2 layer 8″ or 9″ cake or generously ice a dozen cupcakes! I’ve been using this chocolate frosting recipe for a while, but I’ve never shared it on its own yet. You may have spied it on my favorite chocolate cake, vanilla cupcakes, or my marble cake, and in the picture above it’s covering a cake that I’ll be sharing with you on Wednesday (can you guess the flavor!?). 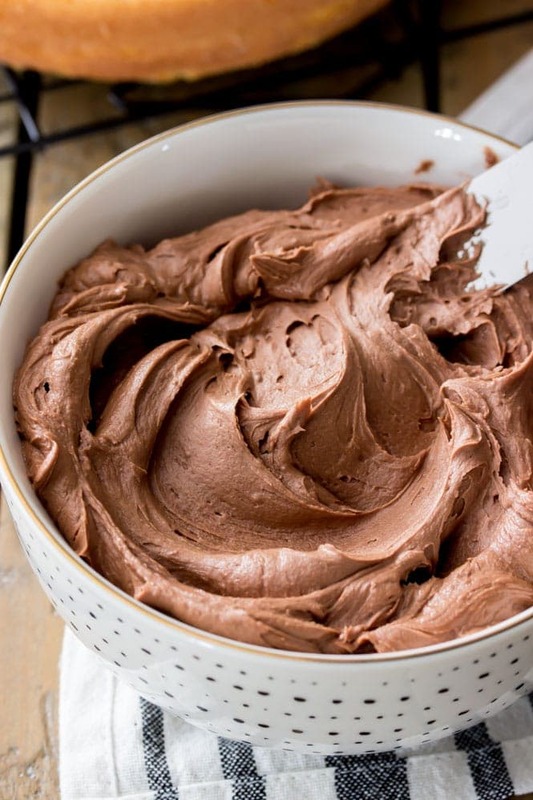 This is my favorite chocolate frosting because it’s so incredibly smooth and silky thanks to the use of real melted chocolate (rather than cocoa powder) and two tablespoons of heavy cream. 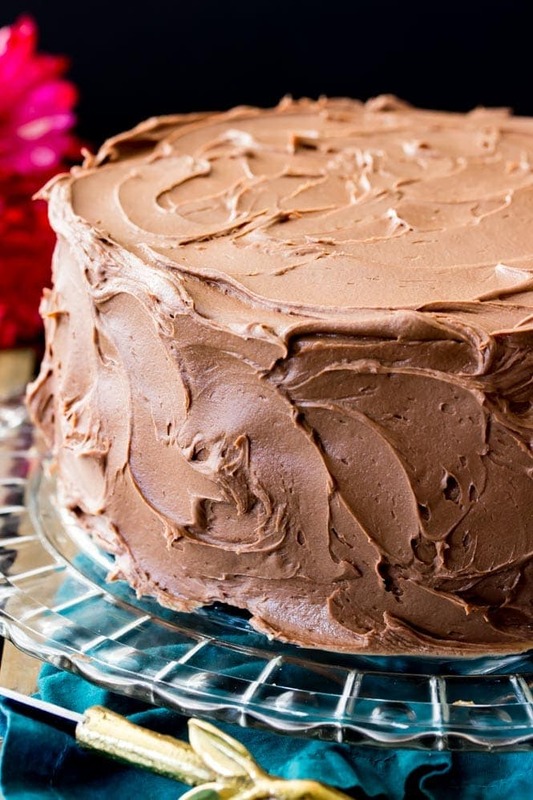 Whipping the heavy cream into the frosting gives it an incredibly light texture that keeps this luxuriously rich chocolate frosting from feeling too heavy. 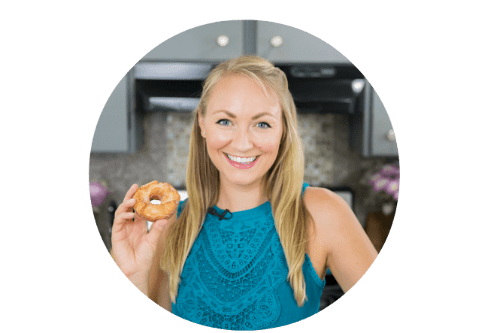 Instead, it’s silky smooth and melts in your mouth, and the hardest part about making it is mustering up the willpower to keep from eating it all with a spoon before it makes it onto your cake or cupcakes! Because we’re using melted chocolate in this recipe you will have to pay careful attention to the temperature of the chocolate (don’t worry, no actual thermometer is required), and I offer some tips below on how to make chocolate frosting using melted chocolate. While I’ve written this recipe using semisweet chocolate bars, I also include tips on how to make the frosting using chocolate chips, instead. I’ve made this frosting both ways plenty of times and the frosting always tastes great regardless of which I use. 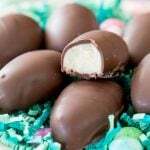 Be sure to coarsely cut the chocolate into pieces that are roughly the same size. When microwaving (regardless of whether you are using chocolate bars or chocolate chips), pause to stir your chocolate frequently (every 15 seconds), otherwise the chocolate can become too hot and seize. Allow your chocolate to cool at least 10 or 15 minutes before adding it to your butter. If it’s too hot, it will melt the butter and the sugar and you’ll just have a runny mess on your hands! Your butter should be at room temperature. 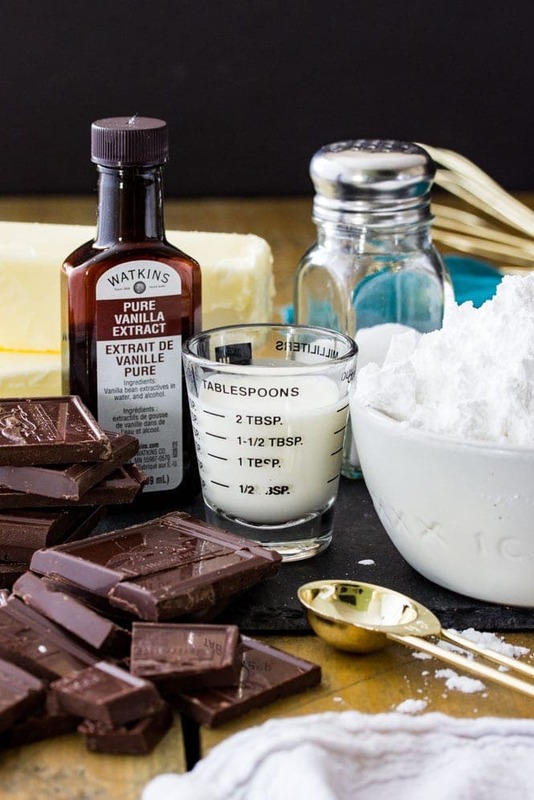 If it’s too cold, some of your chocolate will harden as your ingredients are being combined and you will have chocolate pieces in your frosting rather than a smooth chocolate frosting. This recipe calls for unsalted butter (and you can read my post on salted vs unsalted butter to better understand why), but if you only have salted butter on hand you can still make this chocolate frosting, just leave out the salt that the recipe calls for. 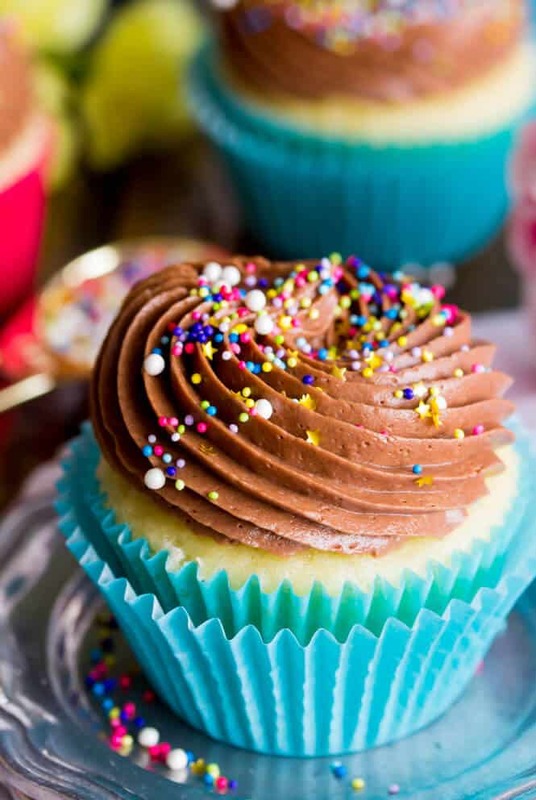 This chocolate frosting recipe will frost one 8″ or 9″ 2-layer cake or will generously frost 12 cupcakes (see above photo of my vanilla cupcakes). If you’re more sparing with your frosting you could frost 2 dozen cupcakes. A simple chocolate frosting recipe that will easily frost a 2 layer 8" or 9" cake or generously ice a dozen cupcakes! Place your chocolate in a microwave-safe bowl and microwave for 30 seconds. Stir well. Return chocolate to microwave and heat for another 15 seconds and stir again. Continue heating chocolate for 15 seconds, stirring after each, until chocolate is completely melted and smooth. Allow chocolate to cool for at least 10-15 minutes, stirring occasionally. You want chocolate to cool so that it is not hot to the touch, otherwise it will melt your butter and sugar and the frosting will not turn out. While the chocolate is cooling, place butter in a separate bowl and use a stand mixer or electric mixer to beat until creamy. Add melted, cooled chocolate and stir well. Gradually add sugar, scraping down the sides and bottom of bowl occasionally so that ingredients are well combined. Sprinkle in salt and vanilla extract, stir well. With mixer on low, gradually add heavy cream to frosting. Gradually increase speed to high and beat for 30 seconds. 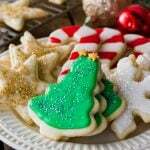 Pipe or spread frosting onto prepared, cooled baked good. *This recipe will generously frost 12 cupcakes, I used it to frost my vanilla cupcakes (see pictures in link). If you don't frost your cupcakes as heavily you can definitely frost 2 dozen. **If you don't have semisweet chocolate bars you can use 1 cup (170g) of semisweet chocolate chips instead. 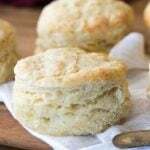 ***I recommend using unsalted butter, but if you only have salted on hand you can use that, just leave out the salt in this recipe. can I use ghirardelli mild chocolate instead of the semi sweet? How will that change the taste? Hi Barbara, I love Ghirardelli and their chocolate is great so I’m guessing probably yes, but I’m not familiar with the “mild chocolate”, is that a baking bar? Is this frosting stiff? I need to frost cupcakes, but i don’t want a thin frosting! Iam so pleased I stumbled on this site!!! 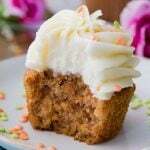 !I will be trying your banana cake with cream cheese frosting tomorrow!!!! Could I sub cocoa powder? I’m trying to get a dark brown as a base so I can dye the icing black. Hi Emily, I don’t know that I’d recommend substituting cocoa powder for the chocolate. 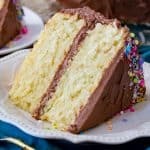 You could add additional cocoa powder though, and maybe cut back on the whipped cream and the amount that you whip the frosting as that always lightens it. Does this frosting harden a bit when left out? Just wondering if the melted chocolate prevents that in some way. 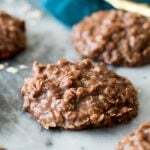 Are you able to use dark chocolate chips? Can I use white chocolate instead? 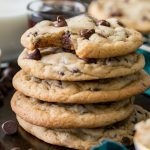 Could you use semi sweet chocolate chips instead of a bar? 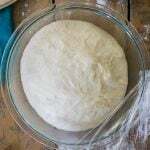 I love your recipes and have made many with good success. Today, I made this frosting for my sister’s birthday cake. I used Bakers Semisweet baking bar (which I melted and cooled). 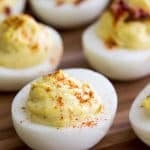 The flavor was great, however, the salt in this recipe was way too much and I used about 1/4 teaspoon instead of the 1/2 teaspoon.n indicated in the recipe I did make sure to mix well when adding it and also after adding the heavy cream, making sure to scrape sides and bottom of bowl thoroughly. I even used a different spatula in case any salt was left behind on it. Regardless, the frosting was a bit salty. I used table salt. I did only put 1/2 of what the recipe indicates as I only typically use a “pinch” of salt (1/8 of a teaspoon when making frosting), so I did feel 1/2 teaspoon would be way too much, but it was still too much at 1/4 of a teaspoon. what type of salt do you use?? Thank you. Absolutely delicious! My husband doesn’t like frosting very much and he was eating it directly from the bowl. This frosting is one of the best I’ve ever tasted. Not to sweet, light and fluffy! 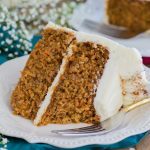 My students found this recipe and used it to frost their cakes. Now, we need a buttercream frosting that is also not so sweet. Her vanilla buttercream is AMAZING… the perfect amount of sweetness! My mom who hates frosting (is she even human ha) loved it!